Welcome to Woodwards and a freshly painted and spacious 1 bedroom view home looking out to the North Shore and the Burrard Inlet. 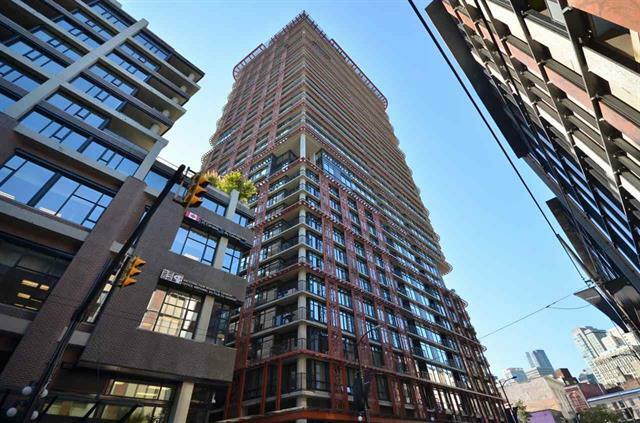 This well laid out 1 bedroom home features wood floors, Eggersman kitchen with gas cooktop, spa like bathroom with soaker tub and separate shower, plenty of in-suite storage and building amenities second to none in Vancouver that include lounge, hot tub, climbing wall, BBQ and so on. Perfect for a first time buyer of someone looking to get into the Downtown area to keep their commute down.